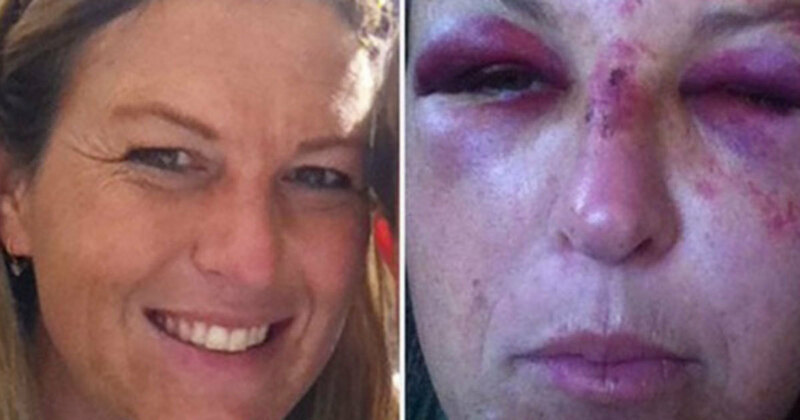 Daycare mom senses danger when the man turns up – 3 minutes later, her face is broken! Athletes, politicians, and celebrities. They’re all commonly referred to as heroes. And there’s nothing wrong with that. But then there are those heroes who stand up for the weak and vulnerable, who work in silence, day after day, without much attention. Martha McClure is one such hero. This image of the banged up daycare worker’s face is difficult to look at, but it thousands of people have shared it on social media. The reason? 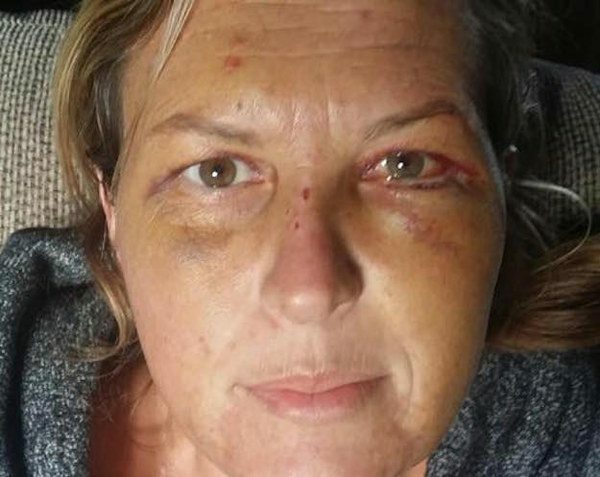 Martha sustained the bruises doing everything she could to prevent a violent dad from kidnapping his three children from her in-house daycare center. Back in October 2015, daycare owner Martha McClure was severely beaten when she stood up to a father, Francis Jackson, who arrived at her in-home daycare center in Ronan, Montana to kidnap his children. The father arrived at Martha’s home smelling of alcohol, and he quickly became aggressive. Martha was aware that the father had lost his rights with his children and wasn’t allowed to take them, according to kfor.com. Martha quickly realized the danger that the dad posed and took him aside and suggested they speak outside. She led him out of her house and locked the door behind her on the way. An argument ensured, and the dad struck her. An woman who was him then grabbed a shovel and struck the innocent daycare worker several times in the face. The pair then fled the scene, but were later arrested by the police. Martha suffered several broken bones in her face as a result of the attack and had to undergo surgery. After the assault, she had “a long road of healing ahead of her,” according to a GoFundMe page that was set up on her behalf. Despite all this, the daycare worker says that she is just grateful that she managed to protect the children. News of the incident soon went viral on social media, where millions called Martha a hero. “To me, it wasn’t heroic. To me, it’s what I’m supposed to do,” Martha told TODAY Parents. Martha, who has five children of her own, aged 4-24, has worked with children for 20 years. Donations poured into Martha’s GoFundMe page, which was launched by a close family friend, from people in her local community and complete strangers. “Thank you for taking care of the children you are responsible for as well as you do. Thank you for putting your life on the line to protect a child in your care. Thank you for letting working mothers everywhere feel ok with their choice to put their children into day care. You are a very special woman. You deserve an award, a medal, hell you deserve a million dollars. What you don’t deserve is to be beaten by a man whose children you take such amazing care of. People across the country are thinking about you—you are amazing!” a commenter named Heather Wink wrote on GoFundMe. In the end, $40,000 was collected to assist Martha’s recovery—all in just over two weeks. Martha was humbled by the support. Share if you think this brave daycare worker did the right thing protecting these children. I think she deserves every like in the world!